I know they are supposed to be common but here in the Isle of Man, I’ve only ever seen 3 of these stunningly beautiful butterflies. Close up in real life, this one just looked like an oil painting at Ballannette yesterday. 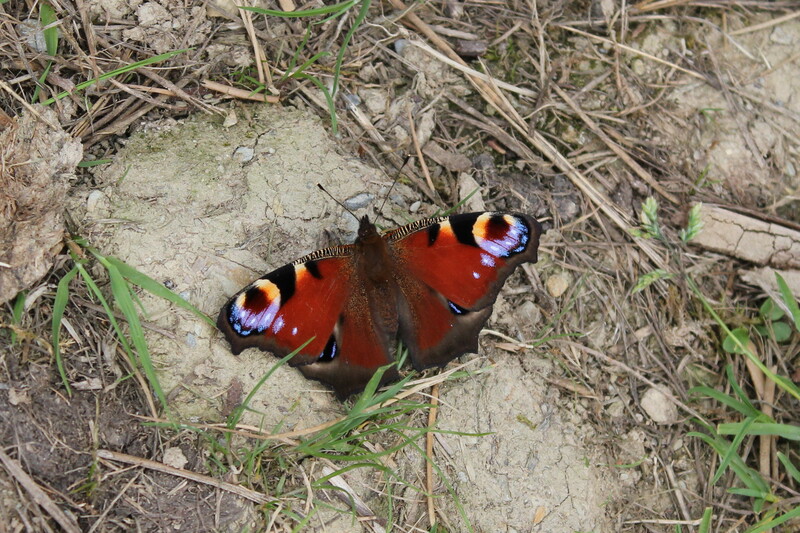 This entry was posted in Butterflies and tagged Ballannette, Butterflies, Isle of Man, Nature, Photography, Wildlife on July 27, 2014 by jackie prince. Thanks Carol they are lovely. How beautiful are those colours, Jackie. I don’t think I’ve ever seen a butterfly with that lovely shade of crimson before. Thanks Vicki, it is a stunning butterfly.